Phata is mainly famous for helipad service to visit kedarnath Dham and offer 5-7 seater chopper, it is located in Gopeshwar- Gaurikund road at a distance of 32 km from Kedarnath. Sersi is a place where Himalayan heli company provide Helipad service to visit Kedanath Dham and is located in rudraprayag at a distance of 22 km from Kedarnath, it was established by Mr. Harsh Vardhan Sharma and Wangchuk Shamshu in 2002. Augustmuni is also famous for Helipad service to visit Kedarnath Ji and is located on the river bank of Mandakani which is 16 km from Rudraprayag, it covers a distance of 37.8 km from kedarnath. Triyuginarayan is located in Rudraprayag district at a distance of 27 km from Kedarnath and is another famous place for visiting Kedarnath Dham through Helicopter. 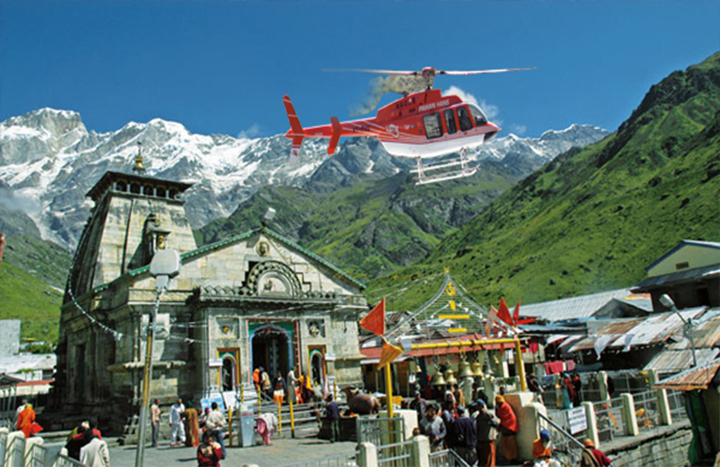 There is also the availability of Helicopters in sitapur to visit Kedarnath Dham it is located near Gaurikund which is 7km away from sitapur.